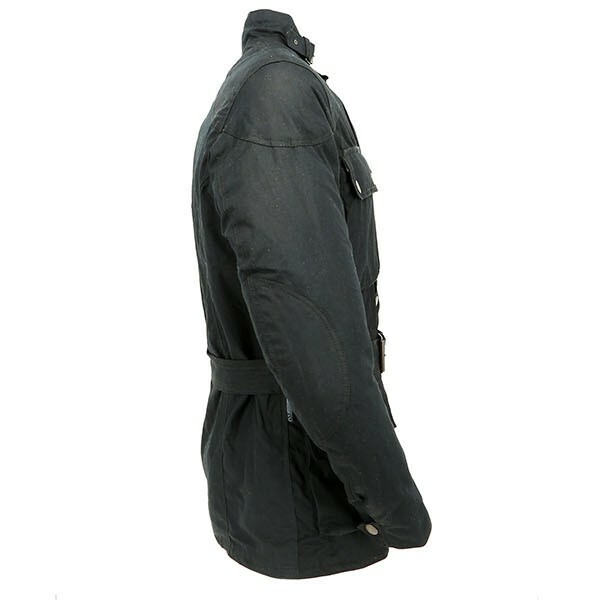 This jacket is ideal for a classic look or as an unobtrusive everyday jacket. It's plenty warm enough in cold weather with the thermal liner in, haven't worn it in warm weather yet but it will be too thick/heavy for hot weather so is perfect for autumn, winter and spring. It's good quality with a tough waxed outer material and adjustable elbow protection, the shoulder protectors can't be adjusted. 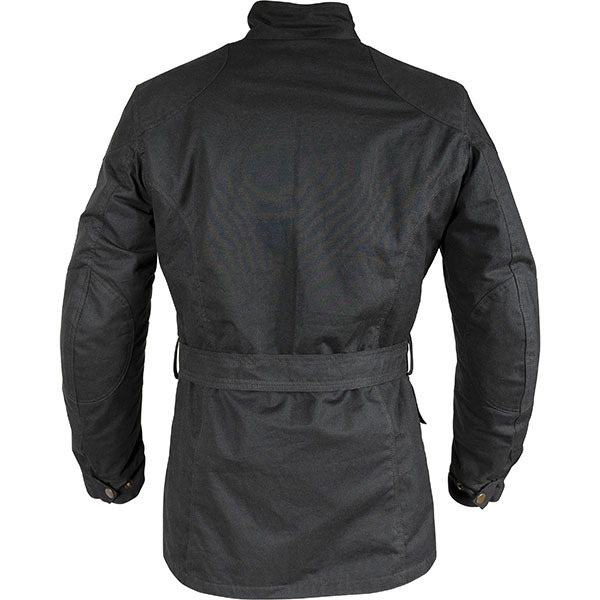 Has proved to be completely waterproof in short sharp spring showers and breathable. It's totally windproof due to its internal membrane. For the price, I'm very pleased. I'm 6'4", 44" chest, XL fits very well, good arm and body length which is hard for me to find. Great jacket. Classic styling, warm, and totally wind proof. I wanted a jacket that I could wear both on and off the bike and this fits the bill perfectly. All the quality that you'd expect from Richa. Very pleased with it. When you need a waterproof jacket. You need one of these. 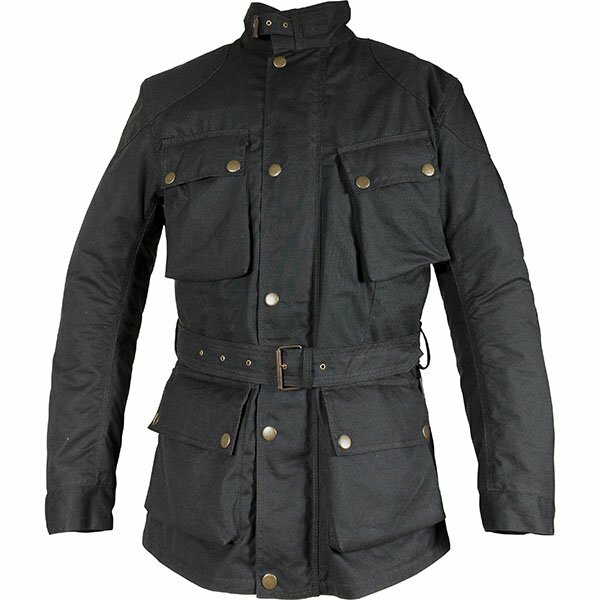 Good quality thick jacket. Nice detachable quilted inner lining. This will keep you warm. Removable Armour in the shoulders and elbows. Good zip and poppers. For me, an ideal fit. A really good feel from the quality of its construction. Looking forward to many happy and comfortable miles wearing this jacket. Very pleased with my decision to buy this item. Smart jacket with a great retro look, takes me back to when I started riding in the 70s. Good fit and warm with just a T shirt on underneath. Waterproof so far and very comfortable from the start. Prompt delivery and good service. Great Jacket and classic look. Looks like Steve McQueen and stylish fitted jacket. Nice and warm and waterproof too. Got out in rain on my first day and it held the rain very well. 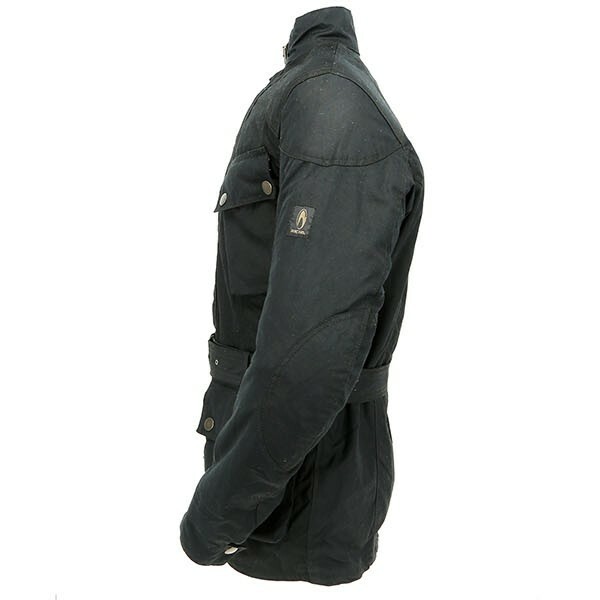 This is a great jacket with all you need for winter riding. Waterproof. Windproof. Long arms. Inner jacket. Armour on elbows shoulders and back plate and looks superb. The jacket is really good quality as I would expect. The website and delivery service were really good. 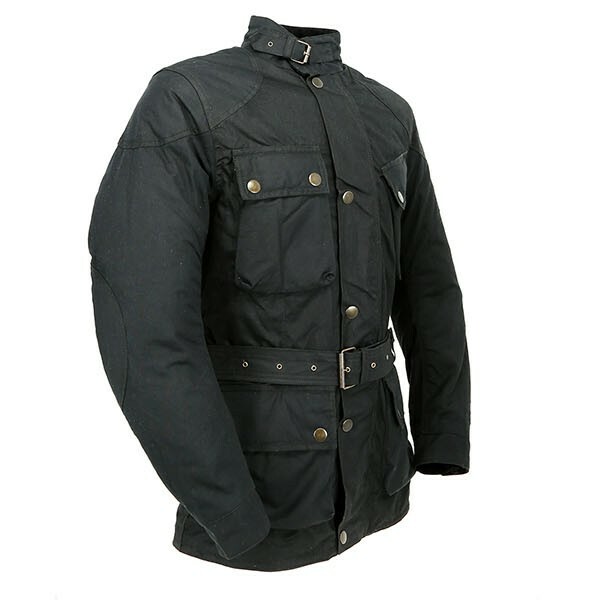 The jacket looks and feels good quality and is nice warm with the inner lining fitted. However, one of the brass button poppers on one cuff had fallen off in the bag and another came off the first time I wore the jacket. I feel these buttons let down an otherwise excellent Jacket for a great price. One replacement button is supplied but I can tell the actual fastening on them is poor so it will happen again. I'm going to keep the jacket and hope to repair them as the pros outweigh this negative. For the record I ordered a Medium. I am 6'1 and slim and it fits nicely. Good arm length and not too big. The Bonneville combines the vintage motorcycle look with all the modern features and comfort you may expect in the 21st century. 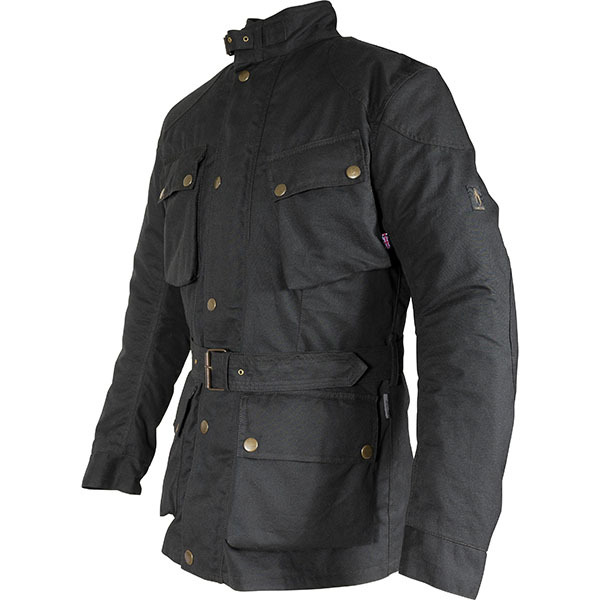 The waxed cotton look creates a fabulous retro atmosphere around this 4-seasonal jacket. 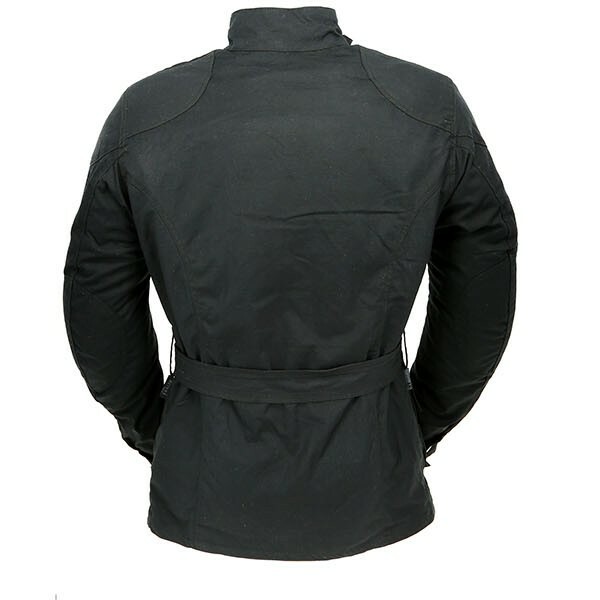 The reinforced outer shell in original Millerain fabric also has a high level of abrasion resistance.